In addition to our 100% self service private sales listing options (Standard & Featured) and due to increased demand, we have now added an Assisted package which provides assistance and support to sell your home yourself, but is not as comprehensive as a full service by an Agent. If you are unable to employ the full services of an Agent, or do not wish to pay the commission for a full service, then this Package will assist in giving you peace of mind to know that you are not left on your own to negotiate the pitfalls of selling a Park Home privately. Our website ‘ParkHomes.com.au’ is the number one website specially designed for private sellers to advertise their Park Homes and On-site Vans. A Featured listing on top of the Home page on ParkHomes.com.au. You can create the ad using our simple online system, or you can send the photos and a description (write up) to us and we will create the ad for you. A “Contract for Sale’ form (offer and acceptance) specifically designed for park homes. It also serves as an invoice and a record of purchase. A brief outlining some guidelines on the ‘do’s and don’ts’ of the selling process, designed for park homes. On-going support via phone and/or email. A professional ‘For Sale’ sign to place in your window or on your balcony in keeping with the park requirements. This will display your name and contact phone number. If the park will only allow an A4 sign then we can provide a vinyl poster instead. Your Park Home is also advertised on our Facebook page for greater exposure. This package is valid for 1 year from date of purchase. In addition to our disclaimer on the website, for the purposes of these packages, we take no responsibility for the outcome, favorable or otherwise, for any actions the buyers or sellers may take as a result of the recommendations contained within the Premium Assisted Package. We do not give legal advice. 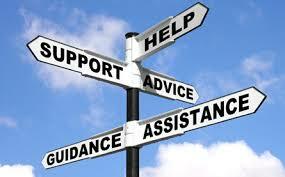 If you need legal advice you will need to consult a solicitor.